This activity was recorded at a satellite symposium event concurrent with the 2018 SHM Annual Conference. This educational content was developed and hosted by Horizon CME. Dr. Spyropoulos was Founder and former Medical Director of the Clinical Thrombosis Center in Albuquerque, New Mexico. He is a Professor of Medicine at Hofstra, Northwell School of Medicine and System Director of Anticoagulation and Clinical Thrombosis Services for the multi hospital Northwell Health System in NY. He is also a Professor of the Merinoff Center for Patient-Oriented Research as part of the Feinstein Institute for Medical Research.He is co-chair of the Council on Leadership of Thrombosis at Northwell Health System. He is a Fellow of the American College of Physicians, American College of Chest Physicians, International Academy of Clinical and Applied Thrombosis/Haemostasis, and the Royal College of Physicians, Canada. 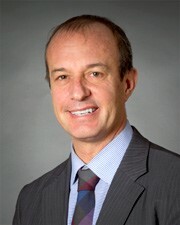 He has been involved as Principal Investigator, Scientific Committee member, Steering and Executive Committee member, or member of Data Safety Monitoring Board in multiple international, multicenter randomized trials in thrombosis and anticoagulant therapy, including the NHLBI BRIDGE and NHLBI Kids DOTT studies and the CIHR PAUSE trial. 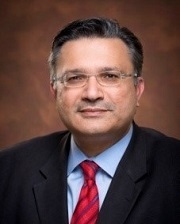 He is the co-Chair of the Executive Committee for MARINER, a global Phase 3 multicenter study of thromboprophylaxis in medical patients with rivaroxaban. 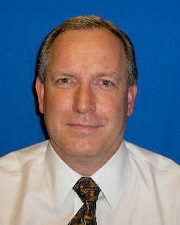 He is a founding member of ATLAS, a US-based ARO-CRO in thrombosis-related research. He is a panel member of a US national experts consensus group for clinical excellence in thrombosis management, a member of the Anticoagulation Forum and the Thrombosis/Haemostasis Society of North America, co-Chair of the Scientific Standardization Committees of Predictive Variables and Perioperative Thrombosis and Haemostasis as part of ISTH, and co-author for the 8th, 9th and currently 10th 2017 ACCP Guidelines on Perioperative Antithrombotic Therapy, the 2008 International Consensus Statement Guidelines in Venous Thromboembolism, and senior author for the 2013 International Consensus Statement on venous thromboembolic disease. He is also reviewer for the 2014 ESC Guidelines on Pulmonary Embolism. He is Section Editor for Thrombosis and Haemostasis, and is on the editorial staff for Thrombosis Research and Hospital Medicine. He is a reviewer for many journals. Dr. Jacobson received his bachelor's degree in chemistry from Walla Walla University, and his medical degree from Loma Linda University.